A moment can change everything, and for Jovana's family this was sadly the case. It was a beautiful time in life. Jovana was nine months pregnant, waiting for her husband Ricardo to pick her up and take her to her final prenatal checkup. The young couple was over the moon awaiting the birth of their first child, and the future looked bright. This was the day that changed their lives forever. On the way to pick up his wife, Ricardo was intercepted by ICE. He was detained and deported, leaving Jovana 9 months pregnant, and completely alone. With no means to pay for their apartment she was on the verge of becoming homeless, when community activists stepped in to help. 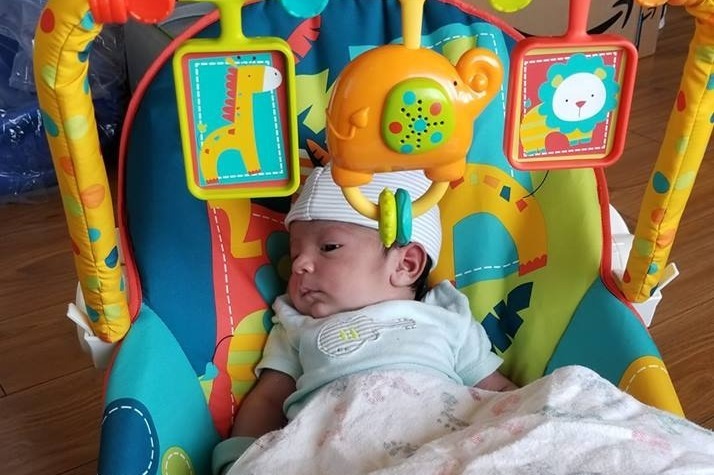 Jovana gave birth a beautiful little boy named Erick, and they have been staying with a local family temporarily during this transitional time. Now the time has come for them to establish a more permanent residency, and the goal of this GoFundMe is to help Jovana secure a small place for her and her child to call home. If you can, any amount will help, if you could also please share this over your networks, our family would be greatly appreciative. Please enjoy the video of Jovanna, Ricardo and Erick.